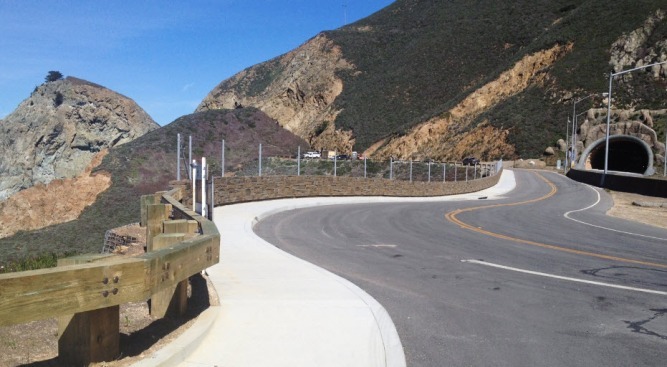 Old Pacific Coast Highway Trail was temporarily closed following a crash in the Devil's Slide tunnel in San Mateo County. The Old Pacific Coast Highway Trail was temporarily closed Sunday following a crash in the Devil's Slide tunnel in San Mateo County near Pacifica, according to the California Highway Patrol. The two-car collision was reported at 12:49 p.m. in the Devil's Slide Tunnel, near state Highway 1. The roadway was reopened before 2:30 p.m., according to the CHP. Emergency medical personnel were dispatched to the scene, but as of 1:15 p.m. it was unclear whether or not any injuries had occurred, CHP officers said.